Iran internet crackdown; Ed Snowden helps develop the anti-espionage app, Haven; MIT depth sensor; Spotify IPO? Where next for streaming? 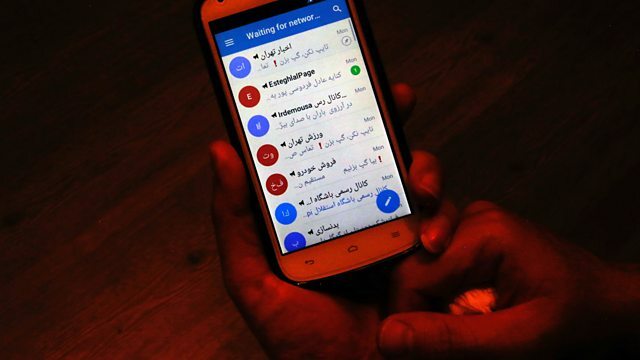 During protests in Iran, the authorities launched a crackdown on internet use, blocking Instagram and other social networks. Click talks to Mahsa Alimardani about censorship and surveillance in Iran. Haven is a new app which aims to turn your phone into a security system. Jack Meegan reports on the free open source app for android phones that turns a phone into a personalised security device. The app has been developed with help from Edward Snowden. Researchers from MIT have developed new depth sensors that could be sensitive enough for self-driving cars. Click talks to the lead researcher, Achuta Kadambi. Listeners are increasingly streaming music for their enjoyment, yet there has also been a revival in vinyl records in recent years. Click ponders the direction of music streaming and music discovery in 2018 with Oisin Lunny. Digital Natives or Digital Exiles?